If you are new to vegetable growing then growing beans from seeds is a great place to start. They come in many varieties including Climbing Beans and Bush Beans, as well as red, yellow and green varieties. Beans are grown for seed pods which are generally picked before they mature, while the seeds are still soft. Bean seeds are easy to germinate and grow, and they come in many varieties including dwarf and climbing, snake beans and broad beans. The climbing varieties are particularly good for smaller gardens and are easy to grow on a fence or trellis. Plant bean seeds when frost conditions have passed. Beans should be planted approx 10cm deep and 60cm apart. It is a good idea to put supporting or climbing poles in place before planting so as not to disturb roots. The time for bean seeds to germinate depends on conditions, but generally 7 – 14 days. Beans are an excellent plant for children to grow from seed. Beans like to be kept moist, but be careful not to over water. Once you have picked beans, plants can be dug into the soil or composted. Scarlet Runner‘ is an early variety. ‘Purple Queen’ is a high yielding french bean. Dwarf ‘Borlotti’ can be harvested early as green bean or left to dry. Butter ‘Cherokee Wax’ is a yellow dwarf variety. ‘Blue Lake Climbing’ is a highly productive climbing variety. Dwarf Bean “Snapbean” is a stringless variety. 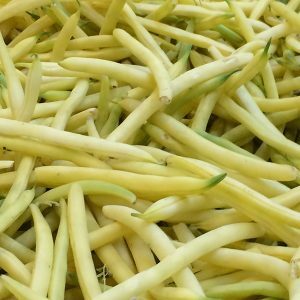 “Snake Beans” are used in stir fry and along with the Madagascar Bean and Winged Beans are more suitable for warmer climates, or summer crops. 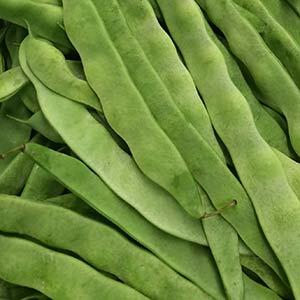 Flat Beans – Also known as Helda Beans, Italian Flat Beans and Romano Beans. Longer flatter and excellent when fresh. Simply blanch them and serve them any tomato based sauce.